So, here’s a simple tip to build your own simple camp stove cooking fire. 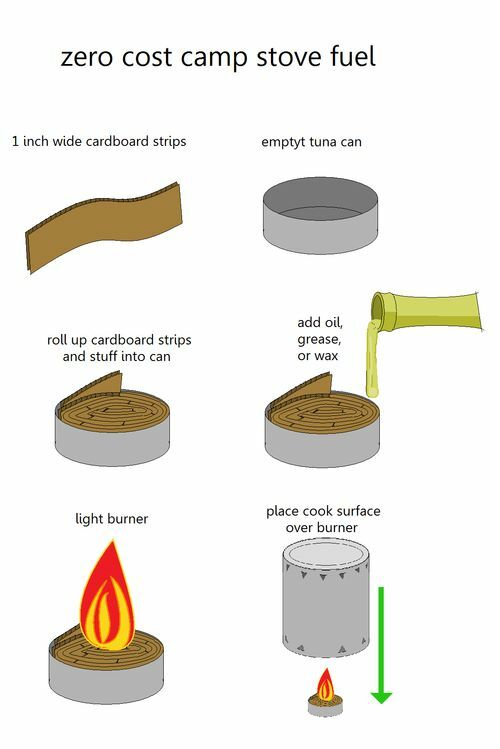 DIY camp stove/heat from tuna can + cardboard + oil. It’s simple but effective. Make up a few ahead of your next outdoor adventure and try it for yourself. We really enjoyed reviewing this flashlight. At first we thought, just another flashlight. But you know what, surprisingly more than that. This 250 lumen flashlight carries quite a bit of power for its size with a range of 200 meters. It also has a respectable run time of over 3 hrs on high and almost 19 hrs on low (brightness is similar to a conventional flashlight on low) with its 3 AA batteries. It is a nice aluminum bodied 9 inch flashlight and on of the lightest flashlights we have ever held for its size. Very comfortable size to hold and with batteries about the weight of my cell phone. Besides a high and low setting, if you tug on the bezel a stand on end lantern is exposed for hands free illumination. A very nice feature! Broken down or stranded, a red safety light secondary button activates a red light on the end of the hand grip turning the light into a safety wand. Push the button again and now you have a steday red flasher. Press the button a third time for a definitive SOS red signal. The feature that surprised us the most was the loading of the batteries. Considering it is a nearly 1.5 inch diameter light, the 3AA batteries did not have to go into a frustrating battery holder device like many AA battery lights. 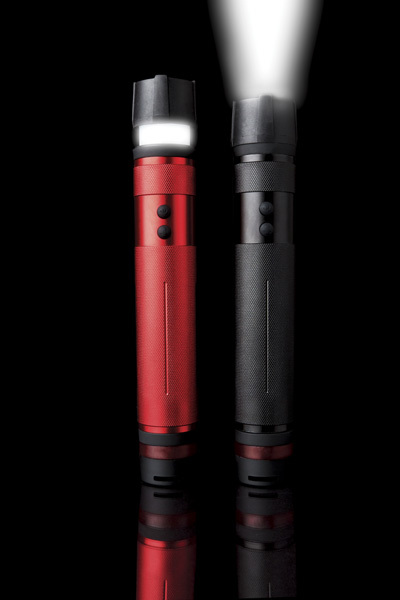 This flashlight was engineered to take the batteries end to end which only took seconds to load. So simple and well thought out. 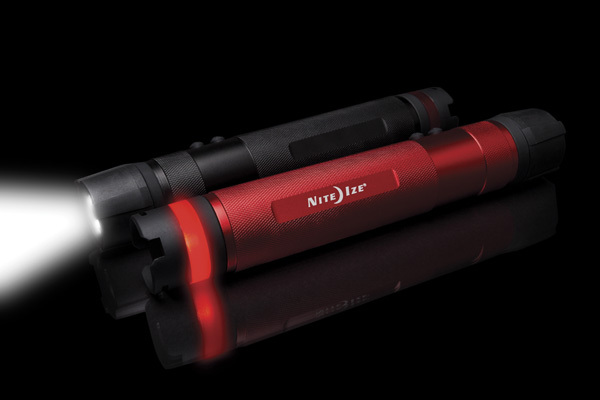 The NITE IZE 3 in one LED flashlight has been tested and its ratings are to FL 1 ANSI standards. Water resistant and 3 meter drop tested we find this light a great valve for its features. And yes, it does include the batteries and a lanyard attachment! 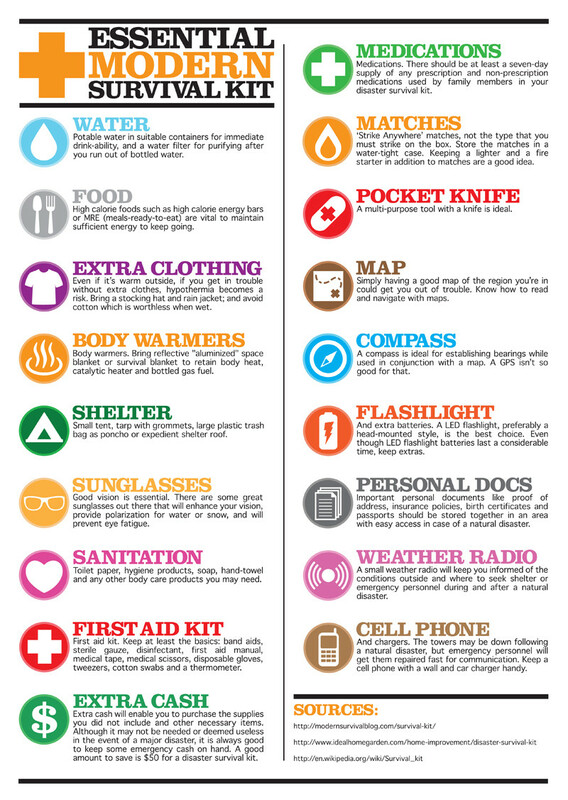 This is one illustration of the items you could consider for your own Bug-Out bag. We also carry pre-made Bug-Out bags ready when you are. Depending on your location and situation, you may want to add or delete items suggested here. 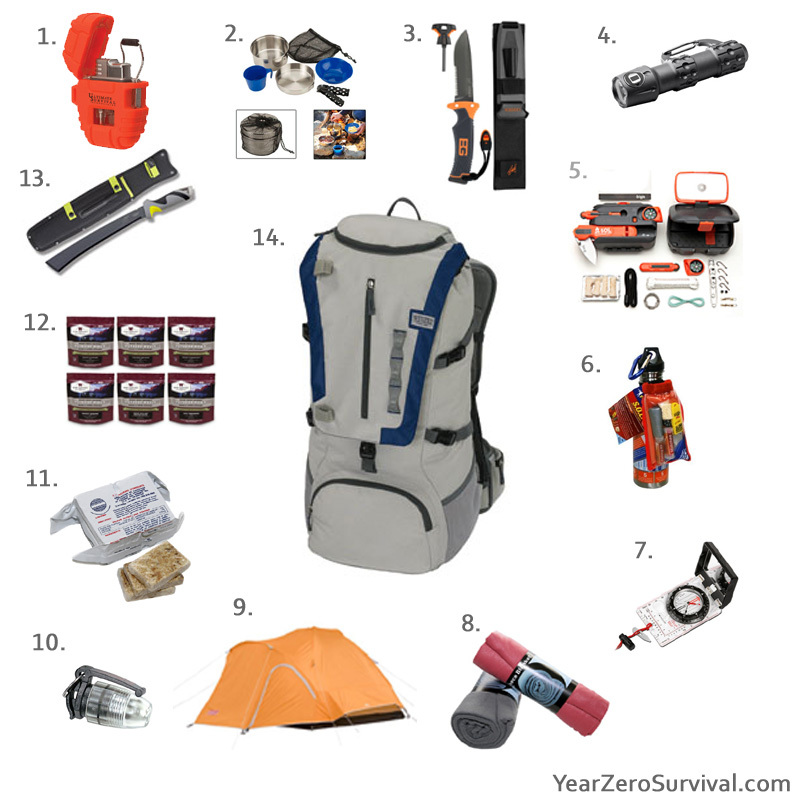 Bear in mind, this pack has all the elements to last you longer than 72 hours, with the exception of the food items, and your ability to find a source of water. What would you add or remove from yours? Over the past 70 years of its existence, this staple product of fix-it-your-selfers has been used by virtually every walk of life, for jobs that I’m sure the duct tape developers never imagined. So how can we use it for survival? 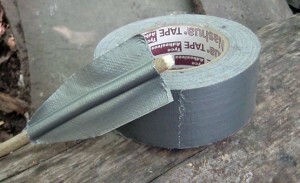 Here are 25 survival uses for duct tape, in no order whatsoever. Tell us your best duct tape trick or survival strategy in the comments.